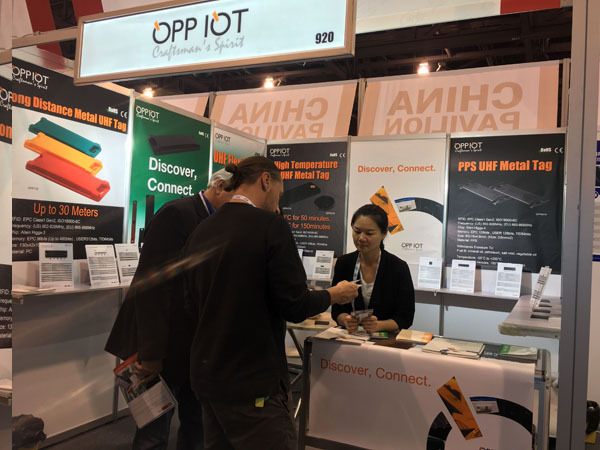 "On April 2nd-4th 2019, the 17th world's most influential RFID industry Exhibition RFID Journal Live was held in Phoenix Arizona USA. More than 200 exhibitors from 26 countries participated in the exhibition, displaying the latest RFID products, readers, software and implementation plans. At every exhibition, we are very busy to service the visitors. New and old customers admire our products that not only have the simple generous and practical appearances but also the functions of long reading distance and sensitivity .The Model No. : OPPD5, OPPD606, OPP1004 and other small sized RFID are “stars”in this exhibition. During the exhibition period, several customers came to meet us when they knew we were in the Phoenix Arizona USA. One of the German customers Damitri from Germany visited us whom we just met and started to cooperate with at the RFID & Wireless IoT exhibition in Damstadt Germany holding from October 30 to 31 2018. He said that he came to see our new product launch, and more importantly, to exchange ideas and make better the product. Our special RFID is only a carrier through which we can make friends with the people from all over the world. Customer trust is our driving force. 3. We are growing up after every exhibition. 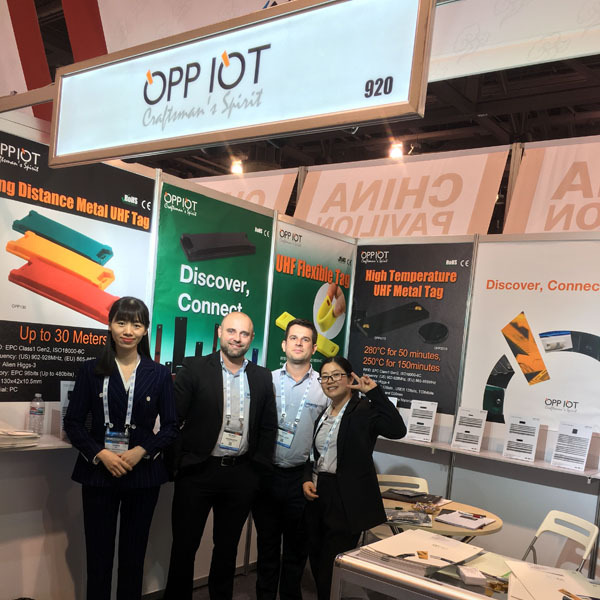 OPPIOT has been a frequent exhibitor to RFID Journal Live, we felt we were growing after exhibition every time,although we have been in the RFID industry for over 15 years. 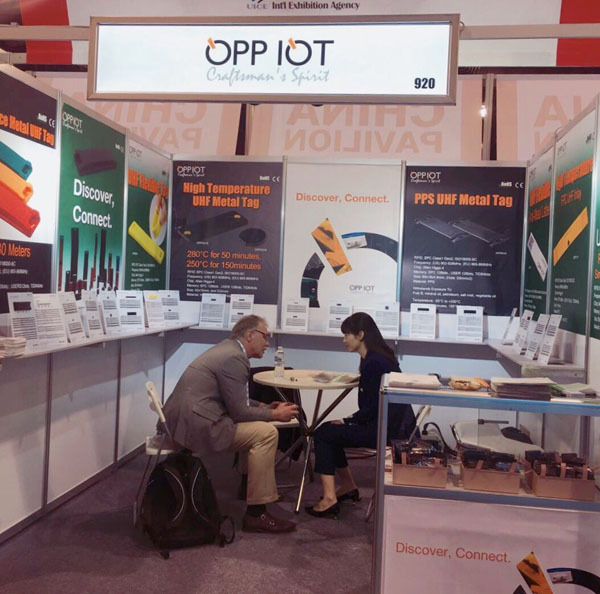 at the exhibition, we were constantly learning from other companies in the same industry, interacting with customers, implanting different ideas, so that OPPIOT has a higher vision and broader ideas, and sometimes has the power to create new products. 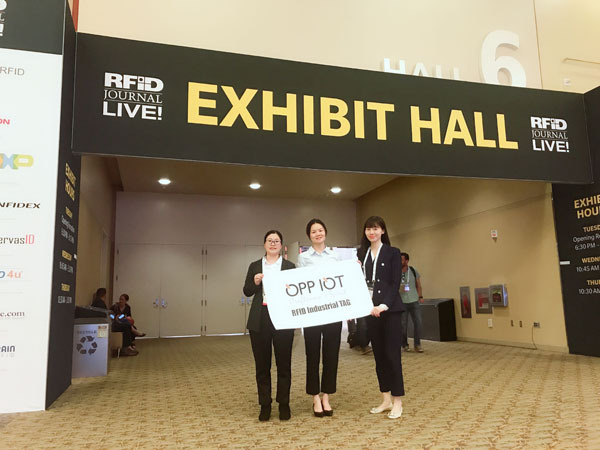 OPPIOT is making continuous efforts to make a contribution to the healthy development of the RFID industry.